When it comes to home improvement projects or building a new home, it’s hard to know you’re choosing the best contractor for your job. How do you know the company is reputable and will be there to handle a problem that could come up down the road? Can you trust them to show up on the day the work is to be performed? Check their experience. It’s important to know your contractor has experience in residential insulation. In today’s economy, there are many one-man operations that don’t have the experience to properly install your type of project. Check references and work history to be certain you’re choosing a qualified contractor. Building science savvy. A good insulation contractor will have a deep knowledge of building science. They will be able to speak clearly about your home’s overall energy performance and answer questions about topics like air sealing, mechanical ventilation, indoor air quality and more. Insured and licensed. 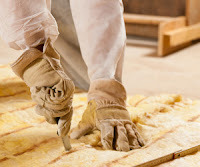 It goes without saying that an insulation contractor should hold the proper insurance and licensing to work on your home. If you have any doubt, ask. Customer-focused. It’s never too early to receive great service. A professional contractor will return your calls in a timely fashion, answer your questions and fully explain your project estimate. Southland Insulators has extensive insulation experience, is up to date on new insulation technologies, is properly licensed and insured, and cares about providing great customer service. To schedule a free estimate for your insulation project, contact our office.